Indie Retro News: Robots Rumble - A puzzle game for the Commodore 64 (PAL/NTSC) is coming! 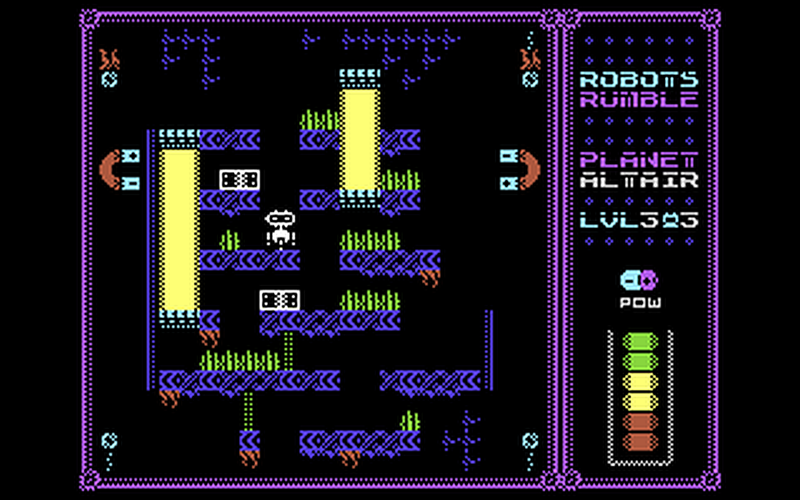 Robots Rumble - A puzzle game for the Commodore 64 (PAL/NTSC) is coming! 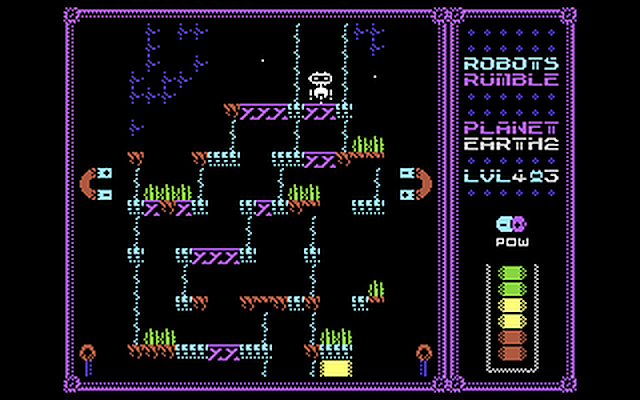 The Commodore 64 looks to be getting a very decent puzzle game at some point soon, as we've recently been contacted by Hokuto Force that Digital Monastery will be releasing a puzzle platformer called ' Robots Rumble '. Now if you've heard of this game before, that's because it was first released by Miguetelo Art for the ZX Spectrum 48k and 128k in September of last year, and we said the game was fun to play, very challenging and had the unique idea of using magnets to control a character! 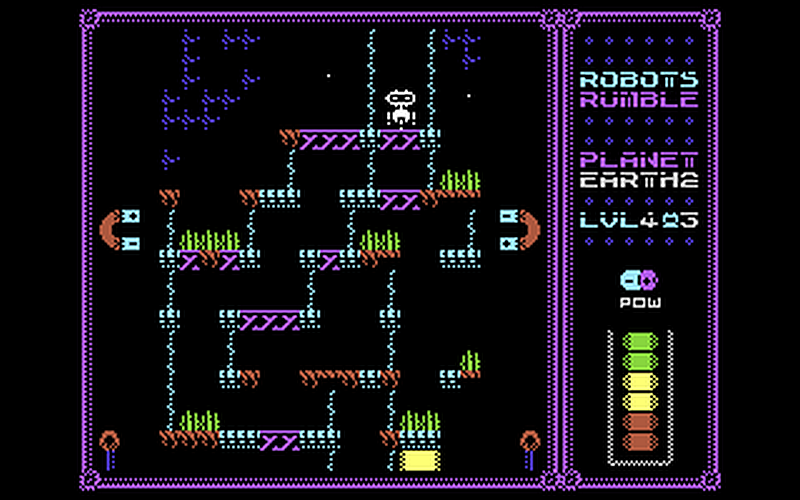 Although this game was released on the ZX spectrum and created for the RGCD's C64 16KB Cartridge GameDev Compo 2019. Many of you will probably enjoy this rather unique puzzle game. As in Robots Rumble, you'll need to use each of the magnets on both sides to pull a defective robot towards the firey pits of lava without touching anything nasty causing your Robot to blow up and polluting the entire planet.... So look out for this one, as if it's as good as the speccy version, it is likely to feature great graphics, great sound and VERY challenging gameplay.